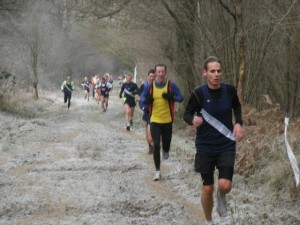 Running is an activity that can be enjoyed all year round. As the seasons change there are a few things to take into account. Let’s look into winter running and some of the points to consider. In the colder weather the body has to work harder to maintain its core temperature. This results in more energy being expended simply to maintain this core temperature, rather than being used to fuel the muscles for running. It is therefore important when running in cold conditions to keep the muscles warm and maintain the core body temperature at all times. 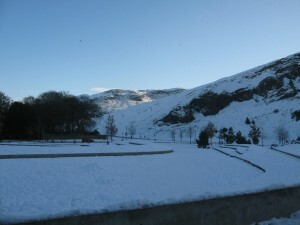 To help enable this ensure a thorough warm up before either a run or training session and wear warm layered clothing. Warming up before any run or training session is necessary however, the importance of a thorough warm up in the cold weather cannot be stressed enough. Typically, this starts with a run of 5 – 10 minutes very slowly to begin with, then picking up the pace gradually. This can be followed by some mobility exercises specific to athletes needs. If taking part in a training session during the winter e.g. intervals, it is advisable to use dynamic recovery (i.e. keep moving at a gentle run/jog) rather than a static recovery. Should the body become too chilled or cooled down and unable to get back to the prior temperature, performance will suffer and injury can occur. In the event the body starts shivering, energy will be lost as shivering is produced by the body engaging in the most inefficient muscle contractions it can in order to generate heat. Layered clothing is recommended and typically consists of a technical top as a base layer (i.e. made of a material that draws moisture away from the body) and depending on the actual weather a top layer such as a lightweight fleece or windproof/waterproof jacket; depending upon the actual weather conditions. Leggings/running tights may be required to keep the legs warm. A hat and gloves may be necessary to prevent heat loss from the head and hands. As many runs during the winter time will be during the hours of darkness, it is important to be seen. Therefore, wearing brightly coloured hi-viz clothing is recommended. 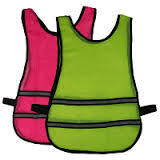 A fluorescent bib that can be worn over running clothes is ideal for wearing in the dark. It is recommended to run in well-lit areas avoiding any location where you do not feel completely safe. In the event of bad weather where pavements are icy, it is best to avoid running outside. In this case consider running on a treadmill or going to a swimming pool and aqua-jogging. The winter is the season for cross country running and racing. Besides being fun, exciting and challenging, cross country running also provides excellent threshold training and will prove to be beneficial for anyone targeting a spring 10k, half marathon or marathon. The stabilising muscles and tendons around the ankles and knees work harder in response to the uneven surfaces underfoot. Stride length and cadence will also vary. Running uphill and navigating twists and turns will encourage a shorter and quicker stride pattern. Whilst running downhill requires a longer stride length and a more active use of the arms for counterbalance. In summary each cross country run will provide a strength endurance work out; a real bonus for inclusion in any training plan. For anyone new to cross country it is advisable to get a pair of trail or cross country shoes. These are readily available in most good running and sports retailers. When running and racing in the winter pace should not be impacted whilst the air temperature remains above 0°C. At the temperature reaches or falls a little below 0°C typically one can expect a small increase in pace per mile of about 1-2%. Only when the temperature falls well below this the impact on performance becomes more noticeable at which point it may be uncomfortable to run. This is when the muscles do not contract at the same intensity. One thing that many runners do not acknowledge is their hydration needs when running in the cold weather are similar to those in the warmer weather. In colder temperatures the body does not sweat as much and as such doesn’t generate thirst in the same way as in warm weather. As a result, it is very easy to become dehydrated.